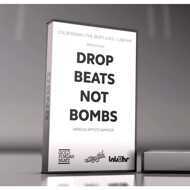 Drop Beats not Bombs is a Hip Hop instrumental compilation with 18 of the dopest, hottest, freshest, cutest and sweetest beatmakers and producers. You will love this tape!! Believe us, trust us, support us so we can make more beautiful music like this!